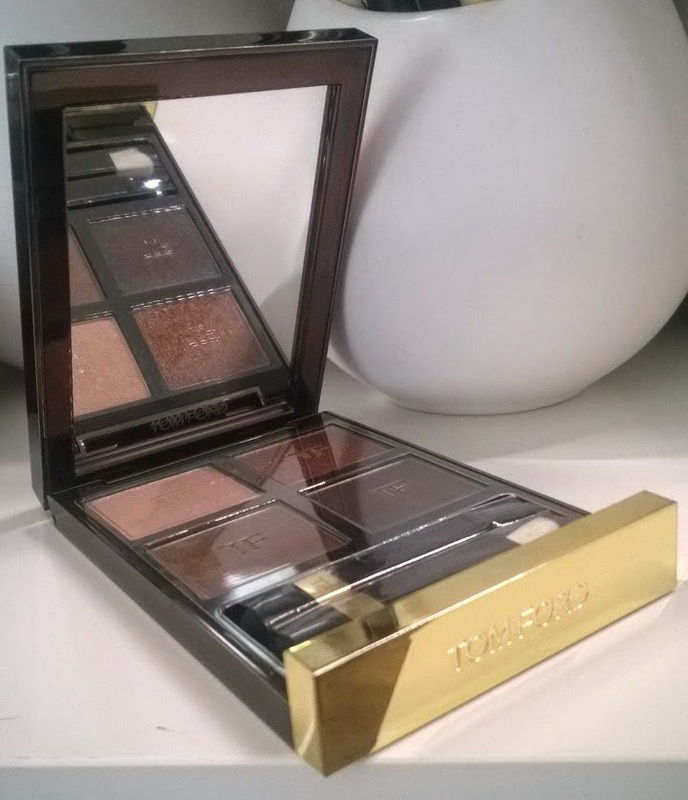 For today's Mondays with MontyC, I'm revisiting one of my absolute favourite make up brands, Tom Ford, and an eyeshadow quad called Cognac Sable, which as the name suggests, is all about the golden browns. 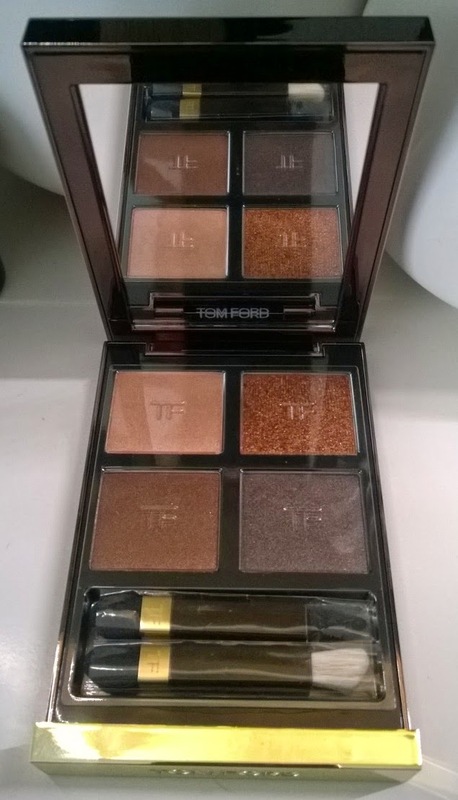 As I previously mentioned in this post, I was spoiled rotton for my 40th birthday and received some fantastic Tom Ford makeup. Ever since then, I've been drooling over the rest of the range, and this quad in particular has kept my attention over the past six months. 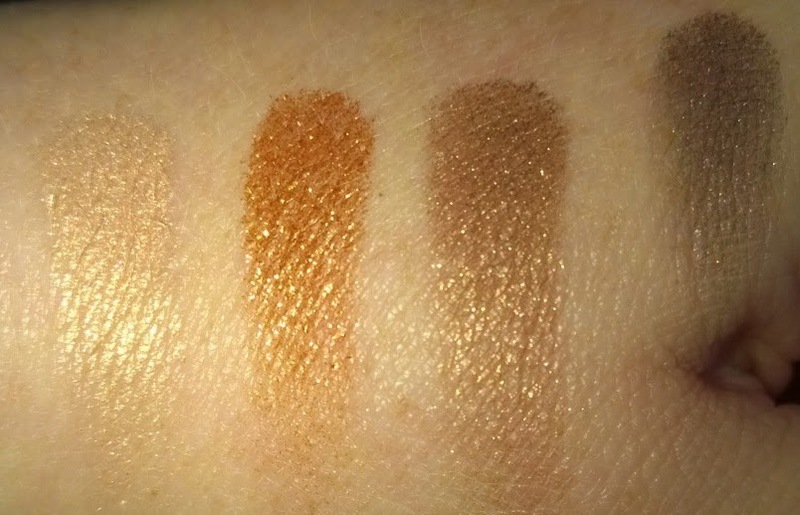 If I've swatched it once on-counter, I've done so a dozen times. So I finally decided to take the plunge, put my money where my (drooly) mouth was, and buy it, and be done with it! 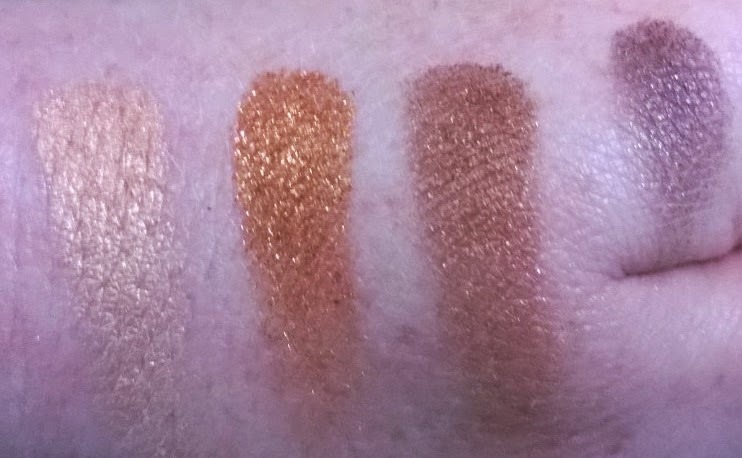 In the pan you have four large eye shadows, a pale champagne with a hint of coppery gold, a rich copper shade shot through with tiny golden flecks, a smooth milk chocolate brown with a hint of copper peeking through, and a rich dark chocolate brown that looks good enough to eat. If it's a matte palette you're after, this is not for you. If, however, like me you love a bit of Tina Sparkle (Strictly Ballroom fans will get that one) then follow me to Wonderland. This is glitter (with a small 'g'). These shadows are incredible to use. I experienced no fall out (seriously, not so much a fleck), just shadows that are so soft, smooth and pigmented, they almost blend themselves. Apply them with your finger, a brush, a cotton bud... all work equally well. If you have blue eyes like I do, then these brown/copper/gold type shades really make them pop. Price wise....well let's call a spade a spade here. It's on expensive end of the spectrum. 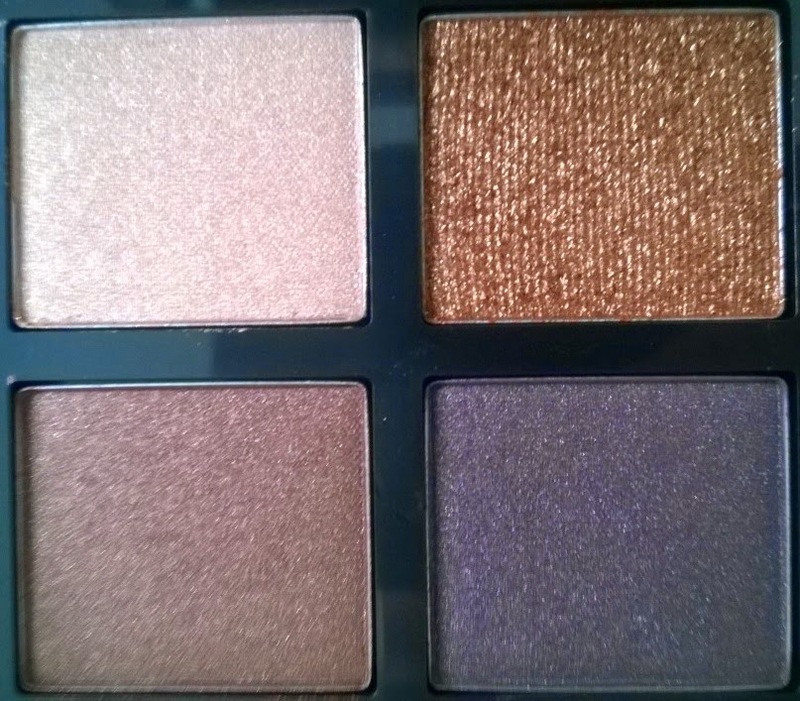 The eyehadow quads retail for €70. Look at this in comparison with other high end brands - Tom Ford quads are 10g of product, Dior five-shadow palettes are 6g for €57, and Chanel quad palettes are 4.8g for €50. As I always say, what those amounts mean to you is nobody's business but your own, but I will say this: his eyeshadows are among the very best I've ever tried. Shu Uemura Paddle Brush - Review & Giveaway!